Crouch End Cricket Club can be hired for corporate matches and other entertainment. Twenty20, limited overs, rounders - it's up to you. » Find out more. We are a friendly cricket club based in Crouch End, North London N8, with our own private ground and excellent private facilities including changing rooms, showers, bar, and nets (static and roll -on). 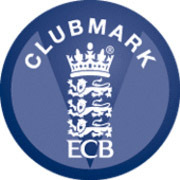 We are working hard to renew ECB Clubmark having been first awarded it in 2014, with a focus on junior player development, and high quality community club cricket. We're always looking for new members in North London. All standards of cricketers and social members are welcome. » More. Are you a specialist spinner, fast bowler, keeper or batsman who wants to play?